Come and soak up the atmosphere when you watch the first match of the Guinness Six Nations Rugby 2019 on our big screen. 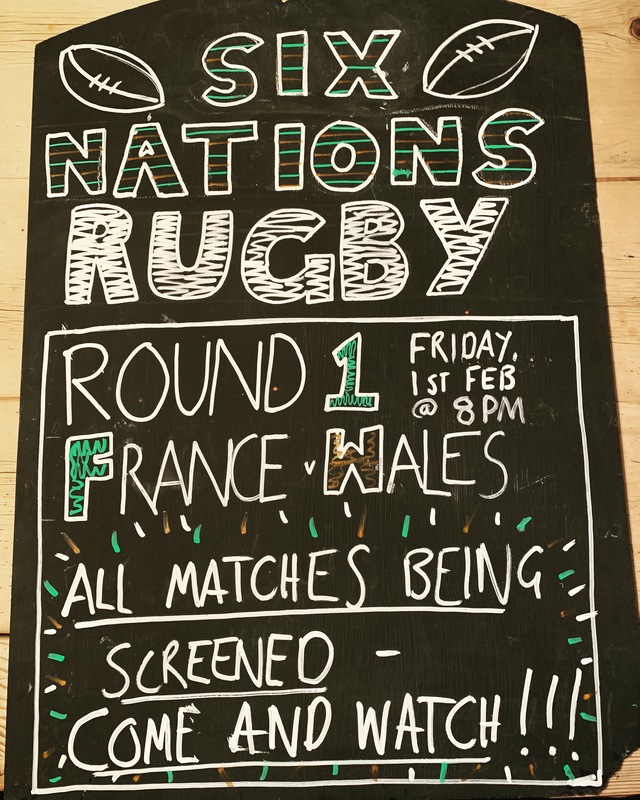 We’ll be screening all of the games on our covered big screen starting with France v Wales at 8pm on Feb 1st. To kick off this year’s campaign Wales are playing France at the Stade de France in Paris. This will be Warren Gatland’s last Championship campaign with Wales – as he says goodbye to the role after this year’s Rugby World Cup. With our heated outside space and delicious beers on tap, how better could you enjoy this epic, international sporting series?